$500 Bounty Event Is In the Money! We have reached the money in the $500 NLHE Bounty event. The board came K-9-9-8-7 and Campbell's hand held to win the pot and eliminate Wang in 5th place. Andrew DeLisle raised the minimum to 12,000 preflop and was called by Jake Bazeley in the big blind. The flop came [Ah][Jd][5d] and Bazeley checked. DeLisle fired 10,000 and Bazeley raised to 30,000. DeLisle made the call and the turn was the [Ad]. Bazeley already had the hand locked up with his full house and a meaningless [8c] fell on the river. Bazeley raked a huge pot, eliminating DeLisle in 6th place. $5,000 NLHE Final Table Streaming Live! Play has resumed at the $5,000 NLHE Final Table. Click "Watch LIVE Video" at the top of the page to watch the live feed. YouTube video: The Bubble Hand of the $5,000 NLHE Event at Foxwoods! 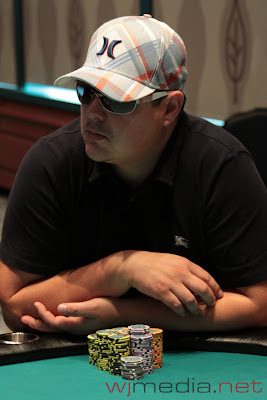 The bubble bursts in the $5,000 NLHE event at the Foxwoods World Poker Finals. All remaining players are now guaranteed at least $18,251. The six remaining players are now on dinner break until 9pm. The live stream will resume at that time. 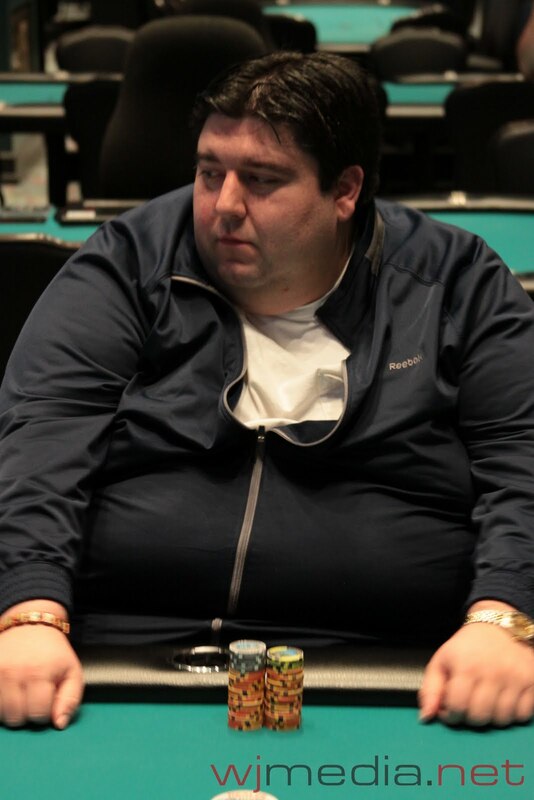 Tom Dobrilovic has been eliminated on the money bubble of the $5,000 No-Limit Hold 'em event. The players in the $500 No-Limit Hold 'em Bounty event are now on a one-hour dinner break. We are down to the final 50 players from the 309 who started play today. Palma was ahead but Wang quickly took the lead when the flop came [As][7s][2h]. The turn was the [Qh] and the river came the [Kh]. 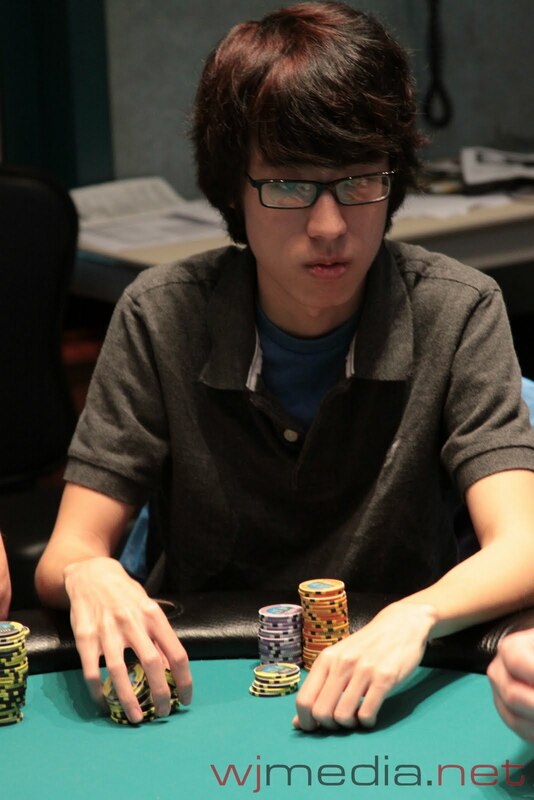 Wang took the pot and eliminated Palma in eighth place. The final six spots finish in the money. The board ran out [Ks][Td][2d][Qc][4s] and Nini was eliminated in 9th place. The final six spots will finish in the money. 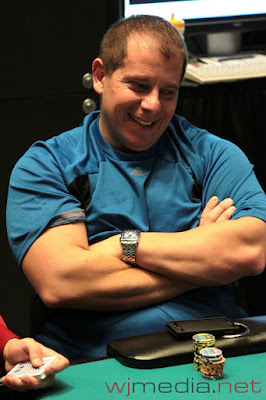 The board ran out [Ac][Qc][Td][6c][8s] and Campbell took the pot to eliminated "The Thrill" in 10th place. The final ten players in the $5,000 No-Limit Hold 'em event are on a short break. When play resumes, the blinds will be 1,200-2,400 with a 300 ante. Click "Watch LIVE Video" at the top of the page to view the live feed of the final table. 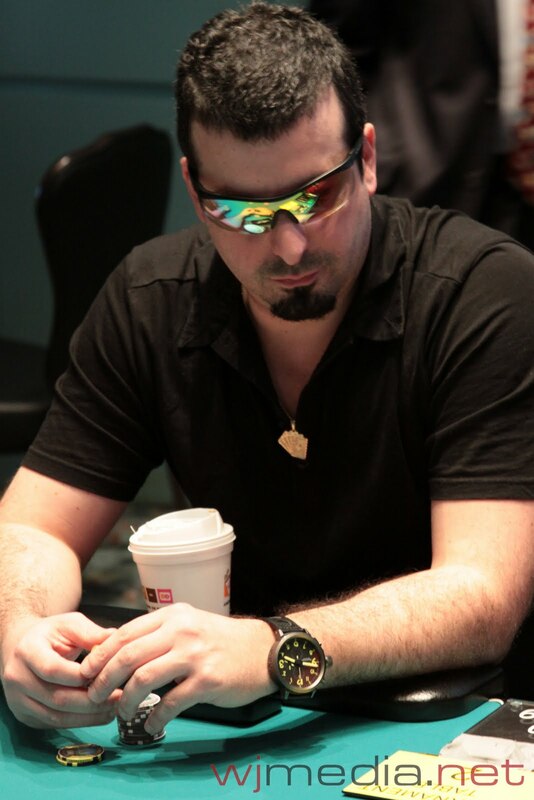 We had a total of 309 players in the $500 NLHE Bounty Event at the Foxwoods World Poker Finals. Day Two of the $5K About to Stream Live! Day Two of the $5,000 No-Limit Hold 'em event is set to begin in about seven minutes. We will be streaming Table 60 live. You can watch by clicking "Watch LIVE Video" at the top of the page. $500 NLHE Bounty Event Underway! The $500 No-Limit Hold 'em Bounty event is now underway at the Foxwoods World Poker Finals. Players start with 10,000 in chips and levels are 40 minutes in length. For each player you eliminate, you earn a $100 Bounty. Play has ended for the night with 16 players remaining. 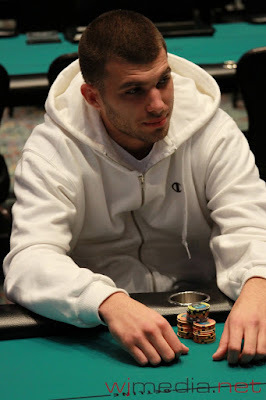 Nick Palma is the current chip leader with 198,800. Play will resume on Tuesday at 1pm.